One of the things I most love about summer beauty is how everything is so damn relaxed in comparison to glammed up, perfectly preened winter, which is a godsend for busy types like me. Summer is all about effortless beauty, in particular when it comes to hair. That doesn’t however mean that it’s just plain old, left-to-its-devices nasty however. It’s all about perfecting that care-free lazy-days look while still looking polished. Redken’s latest styling product Tousle Whip 04 is a good choice if you like lived in yet still controlled tousled waves as it’s a mild control moulding cream with a whipped texture that behaves like a wax. This means your hair still has supple definition along with a looser, dishevelled texture. It includes what is called a “Pearl-Touch Complex” with pearl pigments that adds a lustrous, satin-matte finish while a blend of oils and waxes weightlessly define the style. To use Tousle Whip 04 to get the perfect “bedhead” just apply it to damp or dry hair and style as usual, then work in more product to build added texture. 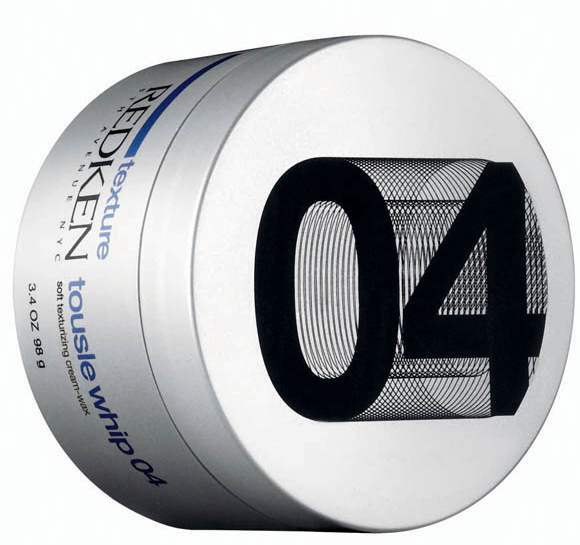 Layer Tousle Whip with other Redken favourites such as Glass 01 for shine; Rough Paste 12 for movement; Layer Lift 07 for sultry waves and Wax Blast 10 for body.